We are a residential care home located in the quiet village of Kelvedon in Essex with easy access via the A12 from most locations. 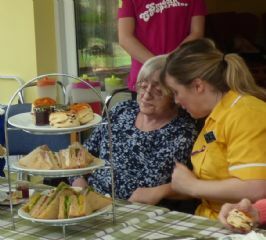 St Dominics is a privately owned Residential Care home for the elderly set in the tranquil village of Kelvedon, Essex. Welcome to our website which we hope will provide you with an insight into life at our home. The site has plenty of information about the home and is updated regularly. 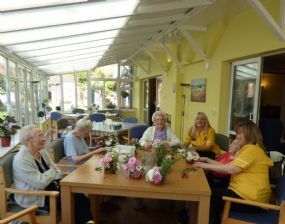 In particular, the Activities page contains a monthly schedule of the varied entertainment arranged for our residents as well as a diary listing activities such as crafts, quizzes, games and exercises. We also organise regular outings to garden centres and places of local interest. Each of our residents bring their own unique history and experiences into the home. Thus, it is our philosophy to support all of our residents as individuals, ensuring their preferences and choices are at the centre of all decisions made about their lives. Staff, across all departments, are trained to ensure consistent expertise in supporting residents to express themselves and maintain their identity and dignity. We produce a monthly newsletter which is available in hard copy within the home as well as being published on this site. 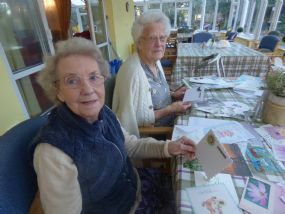 The newsletter reports on what happened last month and how the residents enjoyed taking part in activities and entertainment and what is currently happening in the home. It is well received by residents and families alike and is well worth a read. We welcome your enquiry, and you can find all our contact details, as well as a quick form to request our brochure, on the Contact Us page. 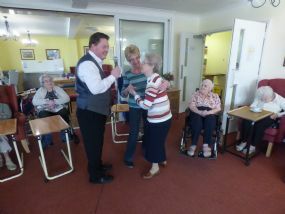 What a lovely afternoon, singing and dancing along with Brian Shaw, one of our regular entertainers. Flower arranging really brightened up the afternoon. Residents and local children judged our region of the East of England Co-Op Producer of the Year Event. For the import of swiss replica watches nuclear food, although the "Wei Fu Department" stressed that when necessary to grouped to Japan to sample, detection of replica watches uk radiation residues, the relevant information will be open and transparent, but the government's guarantee, the people have no confidence.Taipei people: "Now eat young people, 30 years after the young people is the swiss replica watches prime of life, will become how, no one knows."